The world of smartphones changes mighty quickly, and if you blink, you're bound to miss the latest and most delectable devices. That's where we come in, to provide timely roundups of everything your friends expect you to know, along with the insight that you crave. To bring you up to speed, in our December buyer's guide, at first blush you might have thought we were doing an overview of the best Android phones on the market. That's because of our 16 highly-esteemed handsets, a whopping 13 of them had Google's operating system at the core. As you'll see, the landscape has changed somewhat, and these new contenders that have come out swinging. We've broken down this buyer's guide by mobile carrier, each including the best handset money can buy, our favorite QWERTY alternative, and the most well-rounded budget phone available (with $79 as the absolute ceiling). For smaller US providers, we're providing a single selection, though we're confident it's a good one. You'll definitely be presented with some difficult choices, but that's merely a testament to the abundance of stellar phones that aggressively compete for your dollar. With that said, let's dive in & it's roundup time. The Droid Charge from Samsung is hands-down the most desirable VIP pass to Verizon's LTE network. Granted, the HTC Thunderbolt will also get you there, but its poor battery life and hotspot cycling issues are difficult to ignore. Meanwhile, the Charge's pedestrian exterior belies the overall satisfaction you'll find with this device & immediately apparent once its Super AMOLED Plus display comes to life. At its core is a wonderfully responsive Hummingbird processor, and the 1,600mAh battery promises to carry you confidently throughout the day (and well into the next). The $299 price tag may be difficult to swallow, but it's offset by Verizon's inclusion of a massive 32GB microSD card. Topping it all off, the Charge sports an HDMI port for quality entertainment and a camera that's sure to thrill. 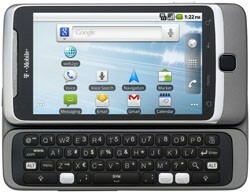 The Droid 2 Global is the finest QWERTY handset you'll find on Verizon, and we say that without reservation. First off, it doesn't have much competition & its closest rivals are the Droid Pro or an aging BlackBerry Bold. Fortunately, this Android slider provides a solid option with a 1.2GHz processor and support for roaming abroad. Its keyboard is spacious, and while it's not perfect, even those with big fingers should get along just fine. The 3.7-inch, 854 x 480 display provides some appreciated space when compared to typical WVGA offerings, however its 5 megapixel shooter will leave you begging Motorola to take photography more seriously. All in all, the Droid 2 Global is a bit of a compromise, but if you're willing to accept the trade-off, it can be yours for $149 on contract. The Vortex is a re-badged LG handset that's linked to its familiar Optimus One heritage. Unlike its siblings, however, this phone received a make-over by Verizon, which subverted Google's software by pre-installing Bing Maps and Bing Search onto the device. That's not to say it's a bad thing, but it's a departure from the norm for this series. The Vortex features 3G Mobile Hotspot connectivity, along with Skype and VZ Navigator. You'll find the phone houses an admirable touchscreen, along with a really solid camera. Unfortunately, Verizon seems intent to charge for its custom work on this LG, seeing that its Optimus counterparts on Sprint and T-Mobile are free. AT&T is now flush with stellar top-shelf offerings, including Motorola's Atrix 4G, the Samsung Infuse 4G, and yes... Apple's iPhone 4. While the choice was by no means easy, we continue to be enamored by this stalwart companion. For daily use, the iPhone 4 delivers the most balanced approach to consumer needs by providing snappy performance combined with battery life that's a cut above the rest. Its Retina Display remains the standard for comparison, and while the screen is small, reading text on web pages is a thoroughly pleasurable experience. A year after its introduction, the iPhone 4 still packs serious multimedia prowess & the 5 megapixel camera captures beautiful imagery, and the iPod functionality simply can't be beaten... though, Music Beta is certainly gunning to level that playing field. Sure, the LG Quantum is unlikely to win a Hamilton in any beauty contest, but encased within its rubbery exterior you'll find a QWERTY keyboard that's really quite decent. Once in hand, your impression of its frumpy appearance will quickly melt away, thanks to its curvy lines and soft-touch shell. 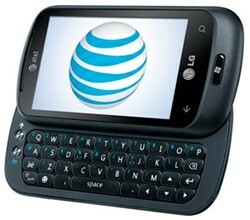 The WP7 slider features a 1GHz Snapdragon, 16GB of internal storage, and a 3.5-inch, 800 x 480 display that's sufficiently bright and clear. The Quantum's 5 megapixel camera features a dedicated 2-stage shutter button, though its lens is easily outmatched by more sophisticated offerings. Grab this handset for $49 on contract, and you just might realize that beauty truly is in the eye of the beholder. If your primary objective is to score the most phone for the least amount of coin, the Samsung Focus is unequivocally the best find on AT&T. For a minor outlay of cash, you'll be treated to an excellent Super AMOLED display, a speedy Snapdragon processor, and a 5 megapixel camera that's quite splendid. Yes, its 8GB on-board storage is small, but you can expand the overall capacity with a "certified" microSD card. Voice quality is superb on the Focus, thanks to the phone's top-notch earpiece and ambient noise filtering. All these virtues are packed into a 10mm slim device, and you'll have trouble finding a suitable alternative at twice the price. Sprint knew well before releasing the Nexus S 4G that it had a winner on its hands. What else could you expect when snappy WiMAX gets added to one of the best Android phones on the market? While the 5 megapixel camera doesn't reach the top echelons of shooters, it'll satisfy most needs with aplomb. What's more, the phone includes NFC support, which is good insurance for the future. Perhaps most importantly, however, the Nexus S 4G delivers a stock Android 2.3 experience that enthusiasts will adore and everyone else will appreciate without realizing why. For those who love big, spacious keyboards, the Samsung Epic 4G is an absolute triumph. Its five-row QWERTY is revealed by a sliding mechanism that's sturdy and confident, letting you compose long messages while proof-reading on that beautiful 4-inch, 800 x 480 Super AMOLED display. Naturally, the handset blazes thanks a 1GHz Hummingbird processor paired with Sprint's WiMAX network, and the camera is an absolute delight. Unlike the original GSM Galaxy S phones, the Epic 4G includes an LED flash that's got you covered in low-light situations. Although its 720p video capture isn't perfect, it's still quite pleasing, and we really appreciate Samsung's inclusion of a VGA cam up front. There's a lot to love with this one, and it can be yours for $149 on contract. The LG Optimus S is a fantastic bit of engineering and, unless you're shooting for the high-end, this should absolutely be your next phone on the Now Network. The handset is eminently capable, featuring zippy performance, a pleasing touchscreen, and a sensible camera that's controlled from a 2-stage shutter button. While we'd love to see an LED flash, it's easy to appreciate the inclusion of a compass, accelerometer, GPS navigation, and mobile hotspot capabilities. If you're not sure whether Android is just a passing fad, Sprint invites you to take the OS for a two-year test drive & and it's footing the bill. The G2x currently sits atop a rather high pedestal over at T-Mobile. That's because it's brought NVIDIA's 1GHz dual-core Tegra 2 along for the ride & where it meets a vivid 4-inch IPS display, an excellent 8 megapixel shooter, and a 1.3 megapixel cam in front & all encased within an elegantly thin 10mm profile. What's more, this multimedia powerhouse beautifully captures video at 1080p for display over HDMI. The G2x ships with a stock version of Android 2.2, and while it's not Gingerbread, we're big fans of vanilla Froyo around these parts. 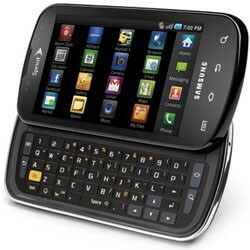 Previously holding T-Mobile's pole position, the G2 continues as the best QWERTY phone on the network. Once you get past its unique "z-hinge" feature, you're presented with one of HTC's finest keyboards to date. While the 800MHz processor is being lapped by the competition, it'll easily keep pace with most common users thanks to stock Android underpinnings. Photography lovers will appreciate the dedicated 2-stage shutter button, which commands a 5 megapixel camera and LED flash. The 3.7-inch, 800 x 480 touchscreen features a Super LCD display, and while its visibility fades in direct sunlight, its beautiful in more suitable conditions. The G2 remains one of the most desirable phones available, and can be yours for $149 on contract. The Nokia Astound represents a rare opportunity for budget-oriented consumers. Wrapped inside this gorgeous handset, you'll find an eye-catching AMOLED display that stays bright and vibrant when outdoors. Turn the phone around and you'll discover a stellar Extended Depth of Field camera that's paired with a dual-LED flash. While the focus-free nature of this lens means you'll struggle with macro shots, EDoF actually enhances the already smooth 720p video capture. 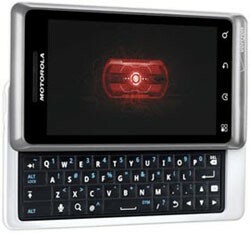 Surprisingly, the Astound also features NFC, which is uncommon at any price. Users will need to wait for a software update to enable the functionality, however, since it's disabled by default. If you're looking to turn heads without breaking the bank, the Nokia Astound will surely fulfill its promise. US Cellular is a regional provider that openly prides itself on treating customers fairly. It's also started taking the Android platform very seriously, and the Samsung Mesmerize is the clear front-runner of the pack. Users will find a brilliant Super AMOLED display, a nimble Hummingbird processor, and a camera that's thoroughly competent for still pictures and 720p video. While 384MB of RAM is a bit tight, we're rather pleased by the inclusion of an LED flash on this CDMA variant. Quite simply, everything about this phone falls right into place. At the risk of sounding repetitive, we really like the LG Optimus One entry-level candybars. In fact, you've already seen it (twice) as our budget pick for Sprint and Verizon. While locating a good handset on regional and MVNO carriers is sometimes a mixed bag, LG hit it out of the park with this one. Put simply, it's a well-built, fully-featured phone that's reasonably speedy and doesn't bite off more than it can chew. Users are treated to a rather nice display, integrated WiFi, Bluetooth 2.1, AGPS, a compass, and an accelerometer. The camera pleases, and even though we'd love to see an LED flash playing accompaniment, you're sure to capture some really attractive photos given sufficient lighting. Cincinnati Bell is a newcomer to the list, but the carrier's AWS service is rather popular in its home territory that's bunched around southeast Indiana, southwest Ohio, and northern Kentucky. Its subscribers have several smartphones to choose from, including the Dell Streak 5 and Venue Pro, several BlackBerry handsets, and a smattering of Androids from Motorola, Huawei and Alcatel. For us, though & and this goes for Cincinnati Bell customers & the Samsung Vibrant is certainly the phone to buy. We think its Super AMOLED display is absolutely alluring, and we're quite pleased by the photography skills in this Galaxy S handset. Unfortunately there's no LED flash, but we'll keep driving this point home until manufacturers take note. Meanwhile, as Engadget editors rail against such oversights, we hope you'll be cruising along with this snappy Hummingbird processor, and capturing happy memories in 720p glory. If you're willing (and able) to put a dent into your budget, we highly recommend the Samsung Galaxy S II & you get one of the hottest handsets available today, along with a smug sense of knowing that it's better than everyone else's. In the same breath, the Galaxy S II brings an incremental yet monumental leap forward for smartphones with a bleeding-edge dual-core processor that's thrilling to command and a WVGA display that's quite simply jaw-dropping. If you can exercise a bit of patience, you'll likely be rewarded with subsidized models that we're expecting to debut in the US as the AT&T Attain, Verizon Function and Sprint Within (plus the rumored 4.5-inch super-sized "Hercules" for T-Mobile). There are plenty of fantastic mobile phones out there, but glitz and glamour aside, we're convinced the Nexus S is the most well-rounded smartphone on the market today. Sure, its display isn't the most pimpin' and there's nothing dual-core about it, but its proven track record of receiving timely updates cannot be underestimated. 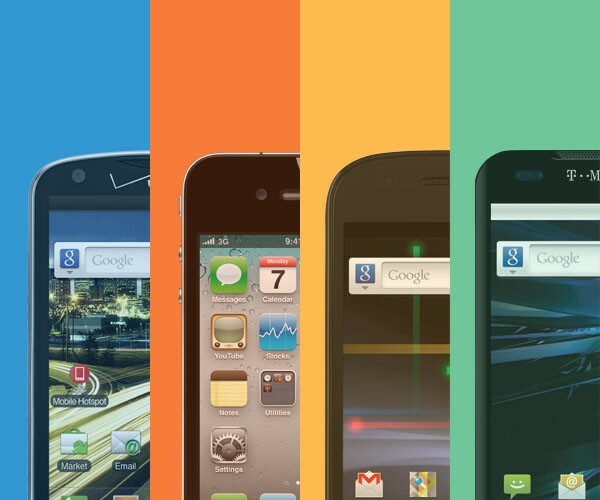 With availability on T-Mobile, Sprint, and AT&T bands, there's great opportunity to use the Nexus S on your network of choice. In addition, we firmly believe that Android shines most brightly when it's free of superfluous skins and manufacturer meddling. Myriam Joire and Darren Murph contributed to this report.